NCB recently donated $2,500 to the Southern Ohio Pregnancy Center. The money will be used for the Earn While You Learn parenting program, which allows clients to earn items while learning how to be a better parent. Pictured, from left, are Mary Alice Hartley, NCB vice president; Cathy Griffith, SOPC executive director; and Dee Smaltz, SOPC director. 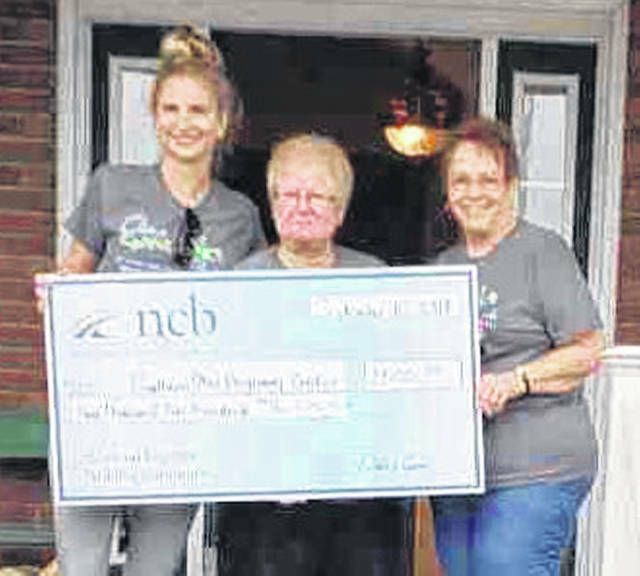 https://www.timesgazette.com/wp-content/uploads/sites/33/2018/09/web1_SOPC-NCB-pic.jpgNCB recently donated $2,500 to the Southern Ohio Pregnancy Center. The money will be used for the Earn While You Learn parenting program, which allows clients to earn items while learning how to be a better parent. Pictured, from left, are Mary Alice Hartley, NCB vice president; Cathy Griffith, SOPC executive director; and Dee Smaltz, SOPC director.